FIFTEEN years ago the Howard government introduced sweeping changes to national environmental laws, with the Environmental Protection and Biodiversity Conservation Act. Its objective was, and still is, to provide for the protection of the environment and promote the conservation of biodiversity. The act was built around an inter­governmental agreement allocating different responsibilities to the states and commonwealth. The role of the commonwealth is to protect matters of national environmental significance, including our national and world heritage, wetlands, threatened and ­migratory species, the marine environment, the Great Barrier Reef, and water resources. The act went further. It encouraged the states to incorporate these matters of national significance into their planning systems, even to the point of encouraging the delegation of approval powers if the states were able to comply with national standards. The act allows delegation because it would result in a healthier environment. Development would also be assessed more efficiently for business, and with more certainty for the community. After 15 years, no state has been able to satisfy this standard. Now, instead of increasing pressure on them, the Abbott government is about to turn its back on a decade and a half of environmental reform and give it all away. The Howard government set up the Natural Heritage Trust to provide a funding base to repair our degraded natural capital. 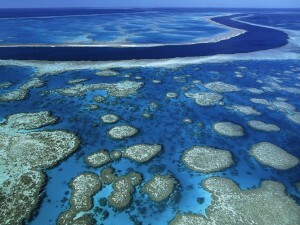 It also created the largest and most comprehensive marine park to protect the Great Barrier Reef. In 2004 the National Party drove reforms to restore Australia’s degrading river systems, under the National Water Initiative. The Howard government also introduced the renewable energy target to reposition the economy. Under Labor, we have a price of carbon. And in all this time, with all these reforms, we have experienced the longest run of economic growth in our history. This month we enter our 23rd year of uninterrupted economic growth. Despite these positive reforms, the overwhelming scientific evidence is that “overall the condition of many of Australia’s major environmental assets remains poor and many are continuing to degrade”. That’s the advice of the government’s independent 2011 State of the Environment report. The states do not have a mandate to protect environmental assets of national significance. As the Prime Minister said five years ago, the community expects our national parliament to act to protect the environment when it is in the national interest to do so. The Abbott government is now trying to get parliament to give local government the power to determine whether a development is likely to have a significant impact on a matter of national environmental significance. I am a big fan of local government, but it has neither the expertise, nor the financial resources, nor the mandate, to determine what is or what is not in the national interest. What has happened in five years to justify such a dramatic change? There is certainly no evidence from the business lobby that national environmental laws are inhibiting economic development. The Abbott government should abandon plans to hand environmental approval powers over to the states: industry groups have not been able to produce evidence that systemic delays by the commonwealth are having a significant impact on economic development, and state laws are not capable of meeting commonwealth standards. The inevitable outcome of these rushed bilateral agreements will be that national standards will be reduced, a clear breach of the Abbott government’s commitment to maintain high environmental standards. The worst outcome of all is that giving away these powers removes any incentive for the states to bring their dysfunctional land use planning systems into the 21st century. Reform of state land use planning is by far the most effective way to promote development and protect the environment. Most state land use planning systems are incapable of managing the cumulative impact of developments that are causing long-term damage to our land, water and biodiversity assets — whether it be land clearing, or water extraction from rivers and aquifers, or coal seam gas developments. There is no justification for handing commonwealth approval powers to the states. It puts at risk decades of environmental reform. As business groups recognise, there does not need to be a trade-off between environmental outcomes and economic growth and industry development. We can grow the economy, create jobs and maintain or even improve the health of our environmental assets. We should be promoting development, but we should not sacrifice our natural heritage in the process. Peter Cosier is a member of the Wentworth Group of Concerned Scientists.